‘Such topics should be discussed more often in order to unite the whole nation as one family’ said V Jayalakshmi, a professor in an event to promote Hindi literature. Hindi Department of Stella Maris College, Chennai in co-ordination with Hindi-Kashmir Sangam (HKS) organized a two-day International Hindi Summit. Governor of Tripura, Kaptan Singh Solanki and Governor of West Bengal, Keshari Nath Tripathi were the guests of honour. Writers from different parts of the country, who participated in the conference, were felicitated for their contribution towards the field. Professors will present their research papers on the topic, ‘Contribution of non-Hindi speakers towards the language’, and students will present their papers on ‘Hindi and Employment Opportunities’. 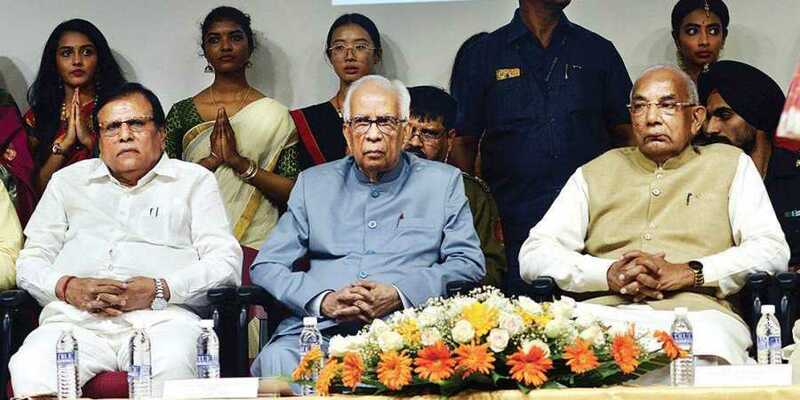 Governor Kaptan Singh Solanki said that platforms like this are necessary to spread the prominence of a language and its role in enriching history.